Slack offers a robust messaging app for team members to communicate fluidly with one another at your organization. By integrating your Slack account with a DialMyCalls account you will be able to send your slack team directory messages outside of the chat room via phone call, text message or email. The only requirements to utilize this integration is to have an account with both Slack as well as DialMyCalls. The first thing you will want to do is login to your Slack account, click on “Team Directory”, and make sure all of your team members have a 10-digit phone number attached to their profile – this integration will not work if there are no phone numbers present. 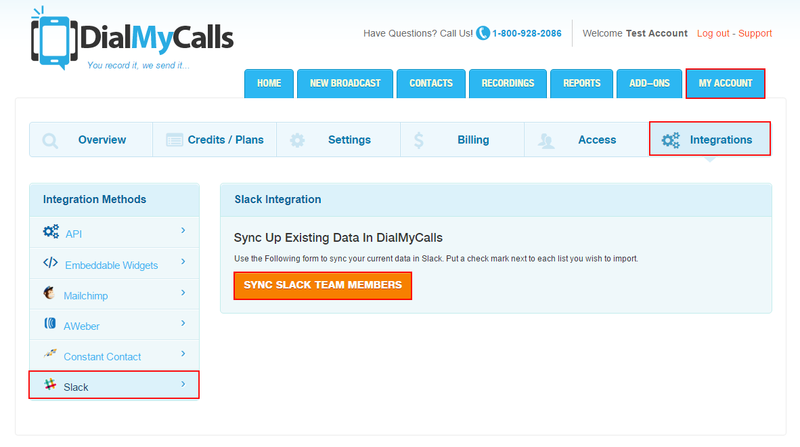 Above Image: Login to your Slack account and view your “Team Directory” tab – 10-digit phone numbers are required to sync with DialMyCalls. 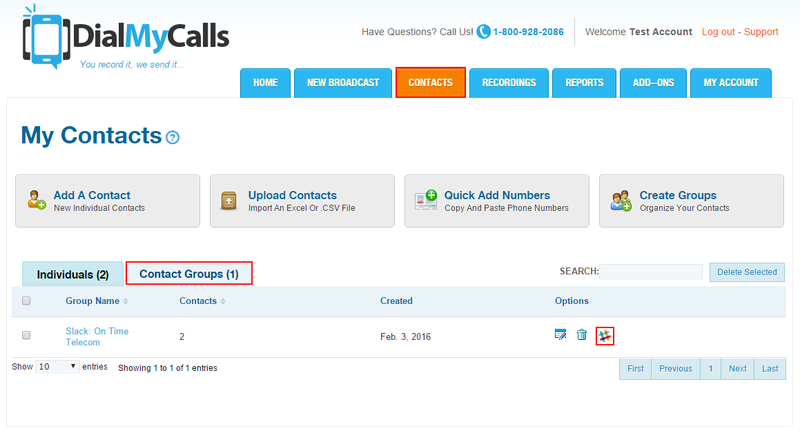 Now you are going to want to login to your DialMyCalls account and navigate to the Integrations tab. 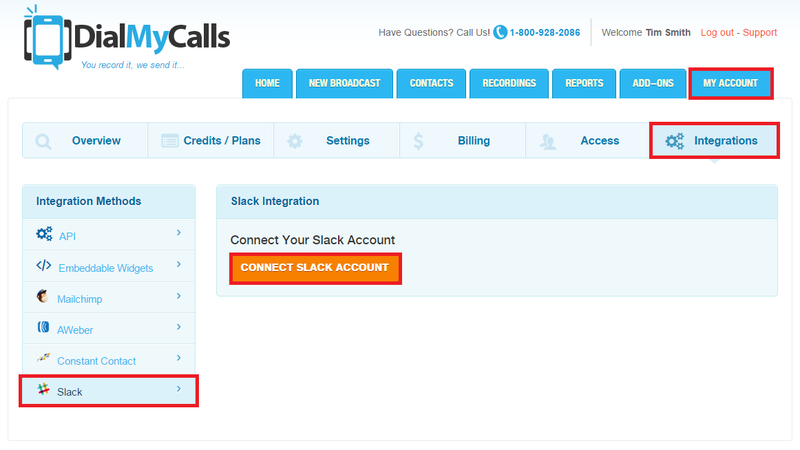 Click on “My Account” -> “Integrations” -> “Slack” and you will then want to click on “Connect Slack Account” to authorize DialMyCalls to access your Slack contact information. Above Image: Connect your Slack and DialMyCalls accounts. 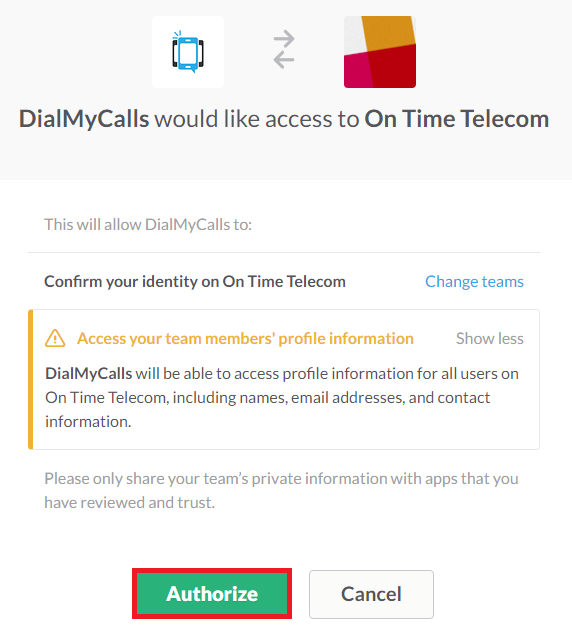 An authorization screen will appear asking if you would like to allow DialMyCalls to access your Slack account – click on the “Authorize” button to proceed. Above Image: Give DialMyCalls authorization to access your Slack account. Once you have authorized DialMyCalls to access your Slack account you will want to click on “Sync Slack Team Members” to add their contact information into your account. Above Image: Sync your Slack team members with DialMyCalls. Your Slack team members that were successfully synced will now be listed under the “Contacts” tab in your DialMyCalls account. A new contact group will be created with the name “Slack: [Your Slack Team Name]” and all synced contacts will show a Slack logo next to their entry. Above Image: Your synced Slack team members will create a contact group within DialMyCalls. Slack messaging app users can now send out voice broadcasts and SMS text messages to their team members. The brand new integration with DialMyCalls makes an amazing chat platform even better by adding the ability to send out automated phone calls and text messages to your team members. If you have any additional questions on how to integrate your Slack team members with DialMyCalls, please contact us. We can create a custom pricing plan to meet your organizations needs. We're almost always able to meet or beat anyone's pricing. Fill out the form below for our best deal, for immediate sales assistance call us right now at 1-800-928-2086.